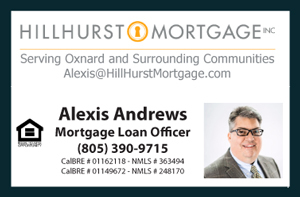 I would like to encourage anyone who is looking to buy a home and need down payment assistance to attend the next Homebuyers Workshop on Saturday, August 15, 2015 from 8:30 AM to 4:30 PM in the offices of VCCDC (Ventura County Community Development Corporation) 2231 Sturgis Rd. Suite A Oxnard CA 93030. If you can not participate in this upcoming workshop you may attend a future workshop. They have one every month. These are all day workshops. Breakfast and lunch is provided. You may also bring your snacks. The workshops are a requirement if you are a first time home buyer seeking to tap into the funds. They are a great way to learn about how to finance a property and how the acquisition process works. If you can not attend the event at the location, you may do the workshop online. VCCDC is a great resource for our local community. They are focused on educating our community about Real Estate. They also provide a one stop shop for all matters Real Estate throughout the Ventura County. They provide programs both in English and Spanish. You may visit their site for more details at www.VCCDC.org.